Arrange for the emergency services to be called immediately with full details of the incident location and any casualties. Stay at the scene until emergency services arrive. 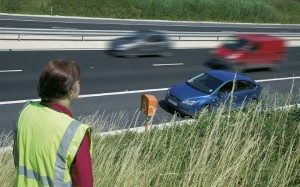 On a motorway, use the emergency telephone which allows easy location by the emergency services. Stop and remain at the scene. Give your registration number, name and address, and company contact details to anyone with reasonable grounds to ask. If you don’t exchange details at the scene of the accident then you must do so at a police station or to a police officer within 24 hours. Failing to stop or report an accident can carry a maximum of six months’ imprisonment. Any first aid given at the scene of an incident should be looked on only as a temporary measure until the emergency services arrive. If you haven’t had any first aid training, the following points could be helpful. D – Danger Check that you are not in danger. R – Response Try to get a response by asking questions and gently shaking their shoulders. A – Airway If the person is not talking and the airway may be blocked, then place one hand under the chin and lift the chin up and forward. If they are still having difficulty with breathing then gently tilt the head back. B – Breathing Normal breathing should be established. Once the airway is open check breathing for up to 10 seconds. 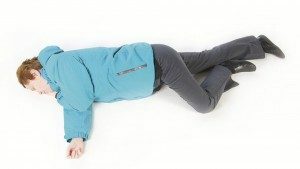 C – Compressions If they have no signs of life and there is no pulse, then chest compressions should be administered. Place 2 hands in the centre of the chest and press down hard and fast – around 5–6 centimetres and about twice a second. You may only need 1 hand for a child and shouldn’t press down as far. For infants, use 2 fingers in the middle of the chest when delivering compressions and don’t press down too far. First, check for anything that may be in the wound, such as glass. Taking care not to press on the object, build up padding on either side of the object. If there’s nothing embedded, apply firm pressure over the wound to stem the flow of blood. As soon as practical, fasten a pad to the wound with a bandage or length of cloth. Use the cleanest material available. If a limb is bleeding but not broken, raise it above the level of the heart to reduce the flow of blood. Any restriction of blood circulation for more than a short time could cause long-term injuries. Check the casualty for shock, and if possible, try to cool the burn for at least 10 minutes with plenty of clean, cold water or other non-toxic liquid. Don’t try to remove anything that’s sticking to the burn. Remember your vehicle height can change if you adjust the fifth wheel or unload or reload your trailer. 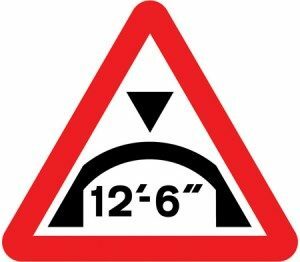 When you approach a bridge check that the height of your vehicle and load is less than the dimension shown on signs for the bridge. Always obey the height signs on bridges along your route. Narrow lanes often lead to low bridges, avoid them if possible. Your route is obstructed by a bridge lower than the height of your vehicle and load. These signs are provided at bridges to show the maximum permitted vehicle height when less than 5.0m (16’6”). If your vehicle or load is higher than the dimension shown on a road sign at a bridge, you must not pass the sign. Warning signs and diversions signs may be visible before you reach a low bridge (below left). Call the number on the plaque on the bridge, giving the bridge reference and the location. 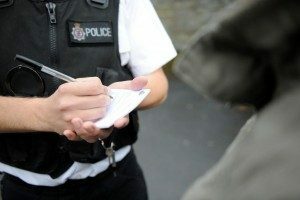 Report the bridge strike to the Police by dialling 999. Report the bridge strike to your employer. You MUST leave any animals in the vehicle or, in an emergency, keep them under proper control on the verge. If you feel at risk from another person, return to your vehicle by a left-hand door and lock all doors.